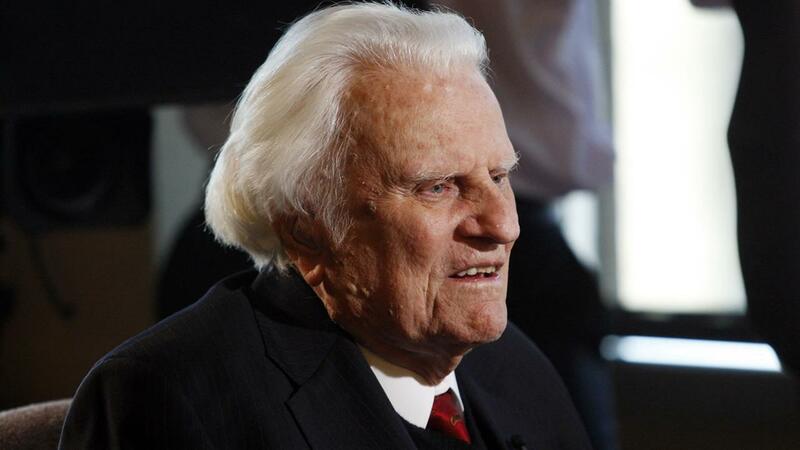 I have been struggling today with the legacy of Reverend Billy Graham, the man often dubbed America’s Pastor. It is undeniable that in bringing many to experience G*d and bringing his ministry into a broadened public square he changed many lives for the better. He was present at the side of Republican and Democratic presidents, even through the tumult of what would become the successful campaign to end statutory segregation and win legislation for civil rights for black Americans. He was given some credit by Dr. King, although they certainly diverged on the tactics and stridency of King’s own relentless drive for justice. And I don’t think the recording of him affirming Nixon’s appalling words about Jews, for which he apologized, are that much in the scheme of things. But what to do about not only his personal religious beliefs about homosexuality, but his planting deep the seeds of making a mission out of making sure that gay and transgender people who embrace and love who they are have no place in either the religious world or rights in the secular world? I have religious heroes whose beliefs and stances toward what G*d desires of us sexually is radically different than mine. The world has seemed to change for many (but of course people have always been gay or gender-non-conforming). Whether Rabbi Avraham Yitzchak Kook or Pope Francis, I can draw profound teachings and lessons from those who would not leave room for what I believe is holy and what simply is for those whose own lives teach them what must be. And perhaps my feelings about Reverend Graham could be seen as having been locked in to a faith he had no tools to see differently, even as the AIDS crisis made his callousness toward the full humanity of those who suffered so deadly. However, his legacy is more than just his own sermons and his own teachings on this issue. He taught many in a new generation to spread, along with the powerful and potentially transformative encounter with G*d, a distrust of social institutions and a need to make sure society not only stayed out of the Church’s mission of salvation (arguably a good thing), but that the Church had a role to play in shaping, not only values, but laws dictating morality of the society, a much more challenging teaching. Of course, he inspired many who would bring his fervor together with their own more open form of evangelism. But his own son has not been one of those. Franklin Graham, his son, stands not only with this President, but exclusively in partisan places. His rhetoric is sharp and intended to divide out the saved from the sinners, often saying caustic things about the same people his father saw as perverted and those who do not fully believe like he does, which his father once embraced. There will be many words of reverence said about “America’s Pastor” and also stark statements of rebuttal, some from the Americans that were not welcome in his tent. Some people I deeply respect have been and continue to be inspired by him. I believe the part that inspires them most is the part they will be able to bring more inclusively to those who look to bring their whole selves to encounter G*d in a way that moves them.